Celebrating the transformations that inevitably happen in the disciple’s life. Swami Premodaya declared JANUARY 10TH as the first official ICODA holiday. It was on January 10, 1981, at 10:20am, that Premodaya experienced the inner explosion of consciousness that culminated in subsequently recognizing his beloved Master, Osho – and which, from that moment to this one, supplanted his life with spiritual life solely. Therefore we commemorate and celebrate the fact of Transformation and Divine Transcendence in all people’s lives (both of which are forms of direct Grace) on January 10th. 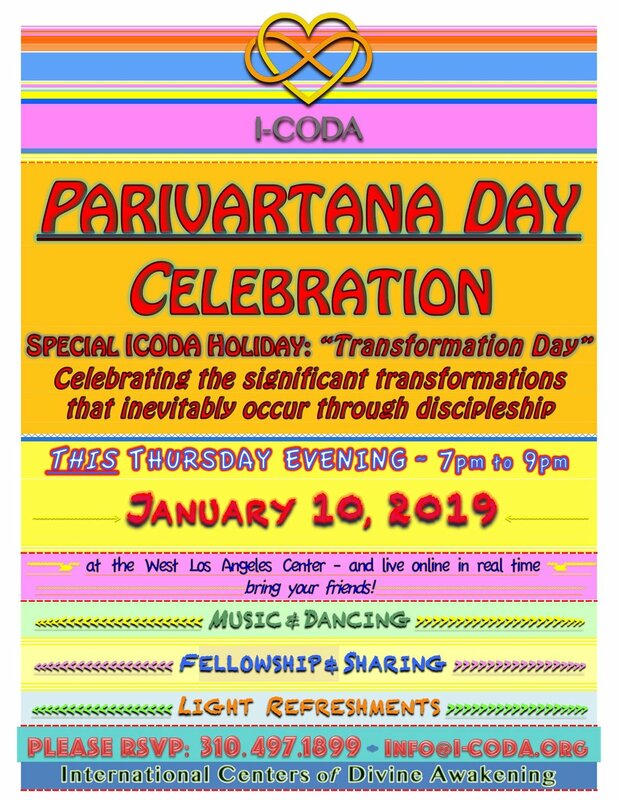 This is the origin and meaning of ICODA’s first annual holiday, Parivartana (Transformation) Day.